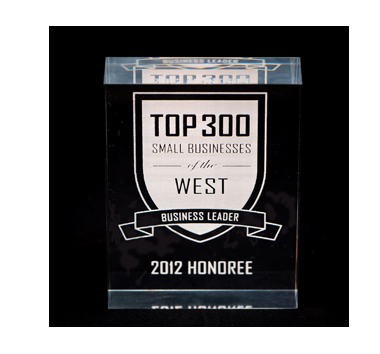 A little bit of fun news: last night, I was thrilled the Customer Paradigm was chosen as one of the Top 300 Small Businesses of the West by the Business Leader group. Pete Coors (yes, of the beer family in Golden, but he ran their ceramics business) was the keynote speaker. He spoke about how small businesses like Customer Paradigm are helping fuel job growth here in Colorado. An award like this is a wonderful external validation of all of the hard work, thought and care that goes into our projects.